Watch Maui LIVE from webcams around the island. There’s more to Maui than beaches and resorts. Watch our favorite Maui web cams below. If you have a great location for a webcam, give us a shout! Located in front of San Lorenzo (Hana Hwy & Baldwin Ave.), you can usually see locals and visitors congregating here at what’s considered the epicenter of Paia Town. One of the more stunning views on Maui, this iconic central Maui property is home to one of the best restaurants in the State. Enjoy stunning views of the ocean and the Honua Kai swimming pool from one of the best units on property. Waves and whales in season as well! videos are a ton of fun. 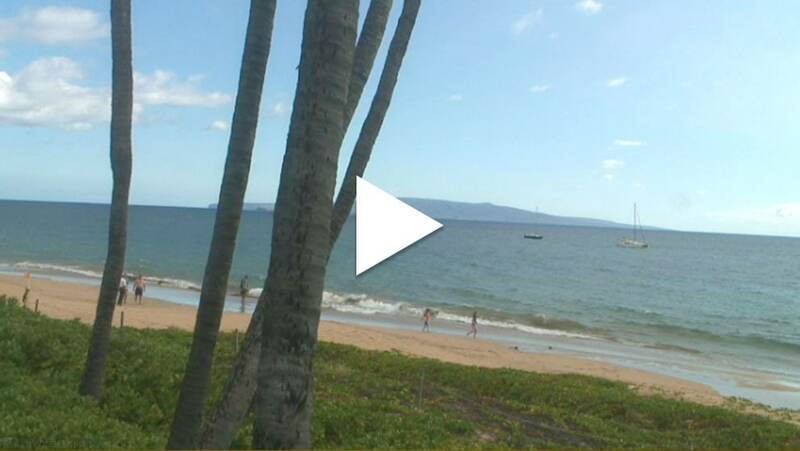 We have a few ways for you to have a webcam on Maui. 1. Get a Maui web camera completely free, though it’s required that the view be incredible. 2. Pay us monthly for the camera and hosting, along with initial installation expense. Annual Numbers: 563,290 views, 8,612 cities watching, 2 minute average session duration. We’ve listed Maui web cameras by geographic location. You’ll notice on the map that some cameras are larger than others. The larger ones are the more popular HD cameras. The smaller ones are of lesser quality. You can also click on the location to see a list and map of the particular areas.